For while answering one’s phone is not the done thing in terms of etiquette upon a golf course, when the caller is Rugby Australia chief Raelene Castle it’s politic to pick up. And so O’Connor listened to Castle’s plan to install a selector over the over the top of Wallabies’ coach, Michael Cheika. A man to make the big calls. The pick the big team. To take some of the heat. O’Connor was of course interested – it’s what he does. In many ways who he is, and always has been. He’s a footballer. He knows other ones, what they do well. And otherwise. Seems he was not. And thus O’Connor respectfully declined. There could be little good coming from a gig picking a team for a coach who wants to pick the team. That would get awkward. Aint nobody got time for that. And so Castle and O’Connor said their goodbyes, and O’Connor continued to whack away at Noosa Springs, eventually making par on 18 to beat his opponent 1-up. Fast forward a few months and Rugby Australia has announced – with or without Cheika’s blessing, the point is largely moot – that O’Connor, Cheika and recently-minted Director of Rugby Scott Johnson – who’ll hold something of a god boss gig above the coach, O’Connor and everyone – will be the trio charged with selecting XXIII Wallabies to play Test match rugby each match up to the World Cup. With the Wallabies more erratic than Saddam on the drink. With the depth of Lake George, even Lake Eyre. It’s like a Far Side cartoon with a deer with a target on his chest, and his mate, another deer remarks: “Bummer of a birthmark, Hal”. The first deer is Shnozzy and Scotty, who’ll now be the two other marks we armchair experts can take pots at along with the coach, old mate Happy Joe. Not having fun enough time playing golf on the Sunny Coast, Shnoz? But it’s also a dream job. Because does not every one of us – and we do it in cricket, mostly, but footy too – love our time as an armchair selector. We love to knock out Test XIs, Origin XVIIs, Wallabies XXIIIs. Part of the fabric of this sporting life is throwing up names and justifications. Well, O’Connor, Johnson and Cheika get to do that for real. With real people, and real consequences, glorious and base. And you wonder how it’ll work given the healthy egos on show. O’Connor’s said he’s up for the vigorous debate that’ll come from discussions with Cheika about the best XXIII. He’ll want to be. 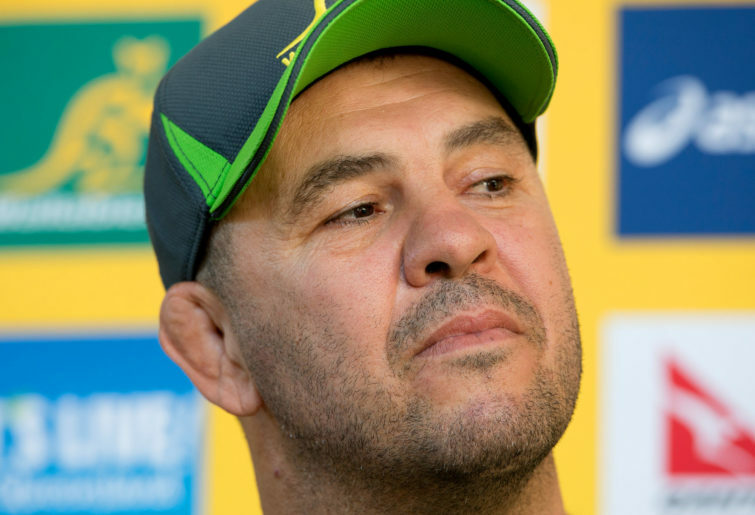 Cheika smacks as a man who believes very much in Cheika. Scott Johnson, too, you’d suggest believes in the cult of Scott Johnson. But O’Connor has said it’s effectively Cheika’s team, and you’d suggest given the buck falls with him, that’s fair enough. But jeez. Cheika is as bloody-minded and stubborn and sure-of-his-methods as any coach in world sport, Jose Mourinho, possibly, aside. Cheika believes, in his pores, in Cheika. O’Connor leans more towards his laid-back roots. But he’s no wallflower. He’ll be forthright. Mainly he’ll be honest to a fault. You wonder if the three are mates, or if it matters. But O’Connor knows rugby, and knows footballers. And surely that’s what the Wallabies want to stack their side with. So it should be interesting. Indeed if there was a hidden camera in their meetings and the trio didn’t know, it would be better television than this hideous #MAFS filth Wifey’s imploring me to watch, it would be sweet golden bullion. So! What can we expect? Dunno. The deck chairs won’t get upholstered any time soon, you’d think. O’Connor’s already made noises that David Pocock’s not concreted in to play No.8, nor Michael Hooper No.7. And that, from this armchair expert, is all to the good. Because as Helen Keller would tell you if she hadn’t died in 1968, the Wallabies can’t afford two short-arses in the lineout, particularly when the other short-arses can’t throw the damnable thing straight into it a couple or three times out of ten. But jeez! Losing lineouts is slow poison. It means spending energy defending instead of attacking. And Pocock is the methyl cyanoacrylate commonly known as super glue of the Wallabies forward pack. He owns the ground. Owns rucks, penalties, possession. Granted when the team was humming into the World Cup final, Hooper was No.7, Pocock was the No.8, and Scott Fardy was the No.6. And of course – Hooper’s a super player. He could outrun The Simpsons. He could tackle world hunger. He’s a ripper. But he’s too bloody short to play No.7 when the bloke playing No.8 is the world’s best No.7. Pocock is the best and most effective man over the ball in international rugby, bar none. He wins possession through scavenging, wins penalties through strength and nous and arms like Barney Rubble’s kid Bam-Bam. How did the Brumbies go without him against Melbourne Rebels? How does that poker machine noise go? Bump-bow. 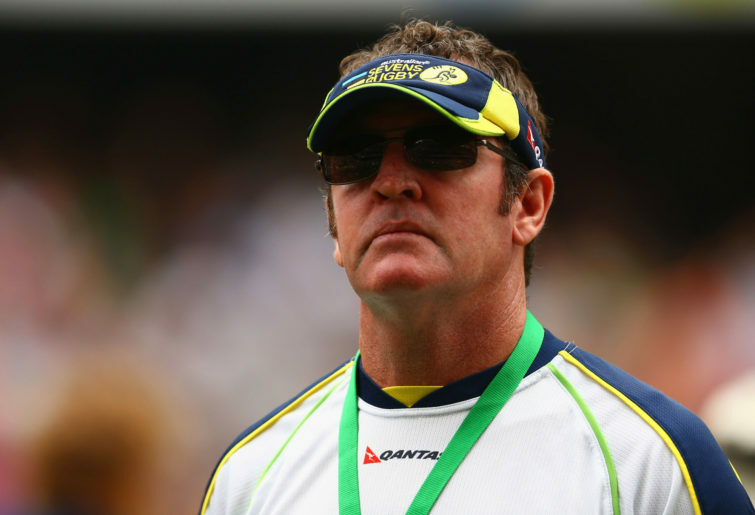 And unless the Wallabies start Pocock in the No.7 – and bring Hooper on as super-sub from the 55th minute, or whenevs, perhaps to replace whoever the No.8 is going to be (I’m liking Lachie McCaffrey, a belter) and change the tempo of the game with his up-tempo, high-octane man action – the Wallabies, like the Brumbies, will continue to lose. But y’know! Jeez! 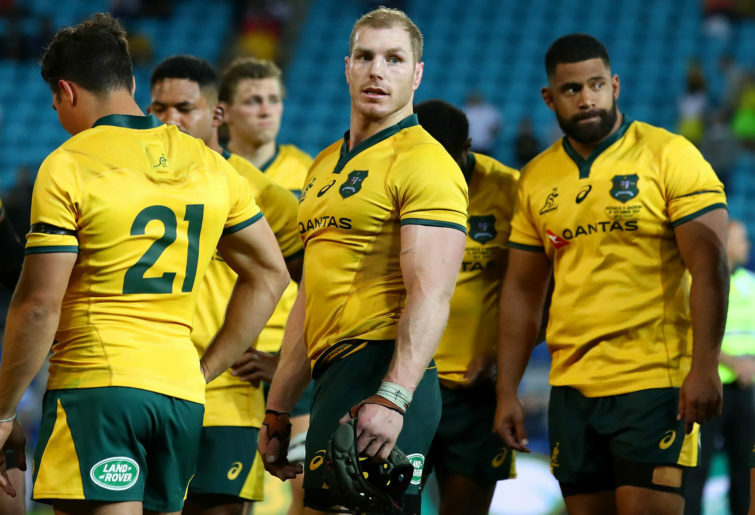 There’d be statistics you could get your hands on – and oh look, here’s some – which illustrate the Wallabies’ win percentage when there’s two tall blokes in the back row and Pocock’s the 7. Save you the read. It’s lots better than otherwise. It wins. And so it’s refreshing to hear O’Connor declare that Pocock could start in the No.7. You wonder if Johnson believes that also, and Cheika does not, if majority rules or Cheika’s is the casting vote. The rest of the XXIII you can pick now and move blokes about. Loved Quade Cooper’s understated game against the Brumbies. I could live with that Quade Cooper in the No.10. Loved Karmichael Hunt rock-n-rolling in the No.12 at Brookvale the other night, I could live with him also. I’d have Kurtley at fullback and Israel on a wing. Adam Ashley-Cooper on the bench replacing Tevita Kuridrani, still the best No.13. The pigs can sort themselves out, indeed outside of lineout-ing, the tight-five’s pretty tight. And if playing the best No.7 in the No.7 means the captain starts from the bench, so freakin’ be it. Crazy they anointed Hooper with the C in the first place, given the world’s best 7 is a better captain too.